Natsumi is in the same high school class as her childhood friend, Haruyuki, but he has been treating her coldly and formally. One day when she wakes up, she suddenly finds that a doll-sized version of Haruyuki has appeared in her room! It seems that no one else can see or hear the tiny Haruyuki, and when she goes to school she finds that the original Haruyuki still exists. Where did the tiny Haruyuki come from, and is there any way to get him back to being a part of the original boy? It was her brother, or at least her brother's skeletal ghost. Now she knows that her brother is dead, but she doesn't know how or why. He seems lost and confused, and says that he has come from a dark forest full of the dead that have a grudge against the living. For his part, as in life, he wants to help people and to protect his little sister Kei. 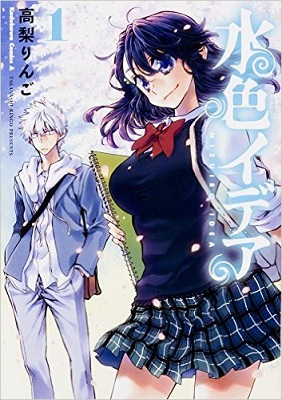 Kei is just starting in a prestigious high school, where it seems that there is more than a fair share of supernatural darkness creeping into the student body. Kei and her brother use the skills of the living and the dead together to solve the mysteries behind her schoolmates' problems. Perhaps one day, Kei will also be able to solve the puzzle of her brother's death. A light hearted comedy which revolves around the hearty efforts of Wakaba to make her dream come true. She becomes friends with Hidaga in the hopes that they can join the school's manga club. However, the manga club has not been active lately due to something that happened in the past and Hidaga seems to be hiding something too. Wakaba has plans for the manga club to ultimately achieve her dream. Makoto Toba hates everyone in his class. Everyone except, Sakura Touwa, an introverted high school girl who lives with her grandma and loves video games. But one day, Sakura disappears right in front of Makoto… Makoto has visited the site of her disappearance on the anniversary of her disappearance for the last 16 years. 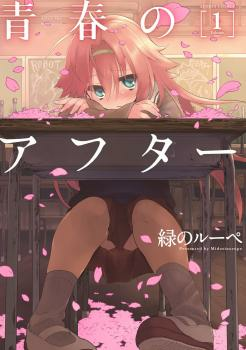 That is, until Sakura comes back from the time slip she was stuck in, and to her not a moment has passed. Now at 32 with a girlfriend, Makoto has to take care of his 16-year-old childhood crush. What could possibly go wrong? Ryuune Sakura is repeating her senior year of high school. Though she is older than any other student in the school, she is still so small and cute that people mistake her for an elementary school kid. She's determined to maintain respect (or maybe fear) from her classmates. Her plan is sometimes undermined by her classmate Mizuki, who keeps talking to her and who knows the real reason she's repeating the year. Kyoudai was my favorite of the week. It might not be a 100% original idea, but I thought the story was really well written. It also doesn't constrain itself to one 'episode' per chapter, it takes its time to develop and resolve each mystery. I read up to the point that the overarching (what happened to her brother) story started, and will probably try to continue to follow this one if possible. 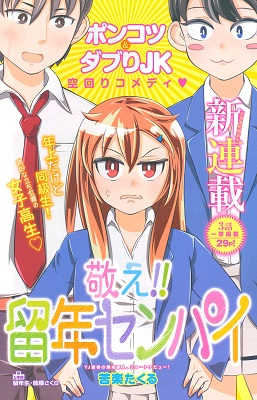 Ryuunen-Senpai is a light comedy about a small girl trying to get respect, and I think it's complete. 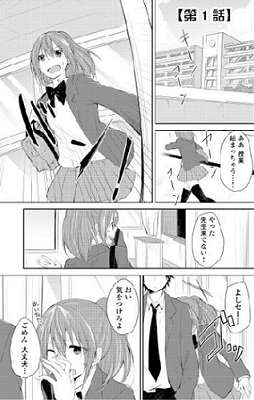 Double X Cross is also a comedy, but tending more towards romance-with-childhood-friend. Art direction and composition is incredible in Mizuiro Idea. Wakaba is a boisterous individual that contrasts well to Hidaga, who likes to play it cool. As far as character archetypes, they can be considered run of the mill at worst but I found them to be endearing at best. The art is amazing. The gags and story line are delivered well, and a lot of effort is dispensed at presenting a lot of information visually at times but also can be dialogue heavy - this is usually due to a playful back and forth so can be enjoyable. Double x Cross - If you're in the mood for a romantic comedy, then you should check this manga out. 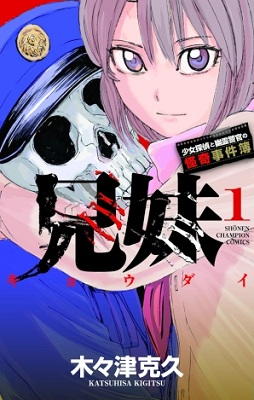 Kyoudai - Shoujo Tantei to Yuurei Keikan no Kaiki Jikenbo - On the other hand, if you don't want love and want something with a mix of horror and mystery, take a look at this manga instead. If you haven't done so already, check out the scanlations of the manga from previous shout outs which have been recently scanlated: dramatic comedy Boku to Rune to Aoarashi (MH link), gender bender fantasy Only Sense Online (MH link).